Seated on the corner of Walker and Brackett streets, this is a fairly familiar house for those driving east on Brackett due to a slight kink in the street. 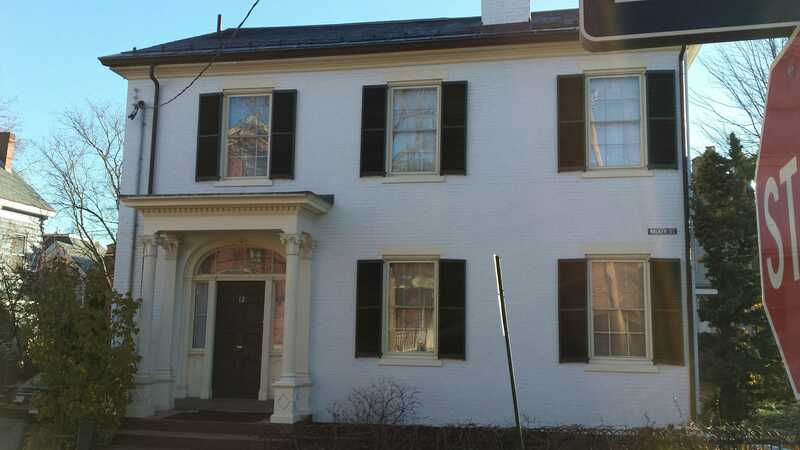 The house is transitional Federal to Greek Revival in style. The main block is a 3 bay square of rather diminutive proportions. It is 2 stories with a garrett. Adjoining this is a rear ell that is nearly as large as the main block. As noted, the overall layout of the main facade is Federal with it’s clean cut windows and highly symmetrical arrangement. The entrance is quite extravagant. 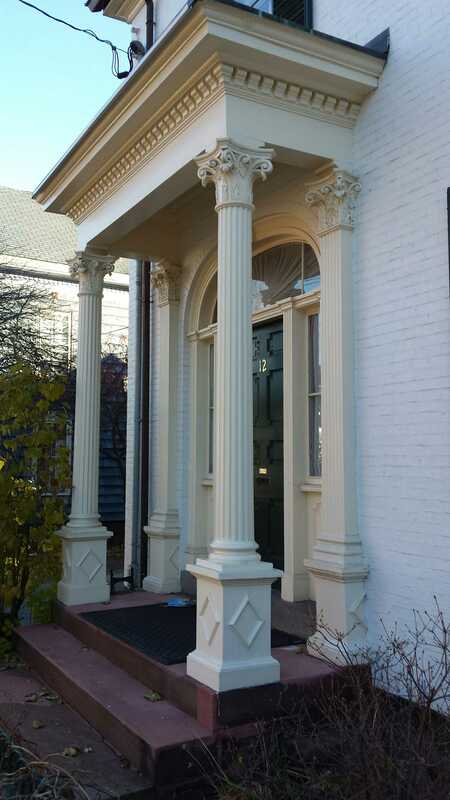 Fluted columns, that are a bit too narrow, set on simple plinths showing a diamond molding decoration. The columns are capped with highly modeled corinthian capital. This motif is repeated in the engaged columns on the wall, The door is framed with a brick header arch that leads to a molded, wooden arch and casement. The placement of the entrance is very ‘Greek’. Federal style, with it’s rigid symetry, would have called for a central entrance. With the Greek Revival, placement of the entrance on the side of a facade was very much in style. 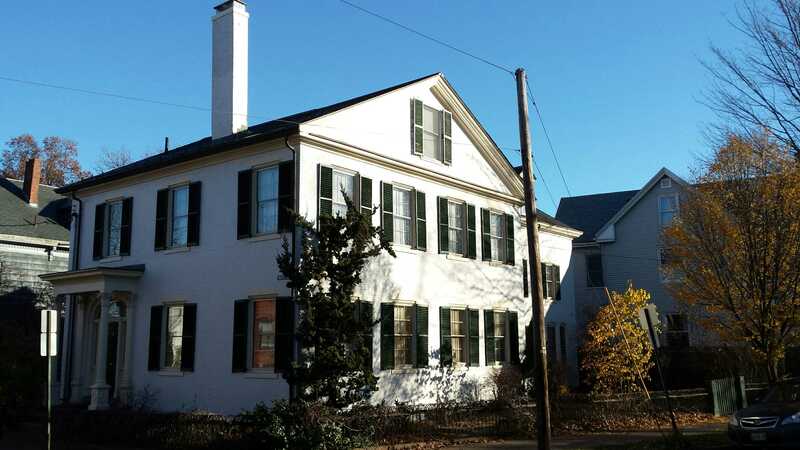 Another characteristic of the Greek Revival is the closed pediment as seen on the Brackett Street facade. I hope she got her shades. 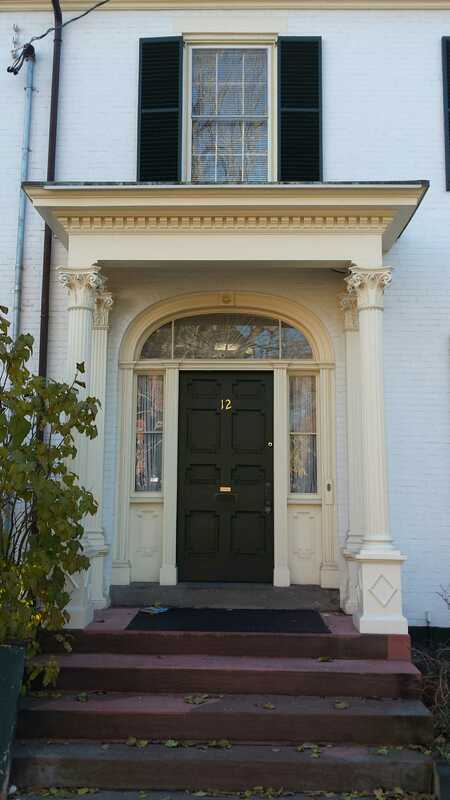 This entry was posted in Architecture, Brackett Street, Brick, Federal style, Glimpses, Greek Revival, History, Images, Then & Now, Walker Street, West End Walks and tagged Brick, Federal style, Greek Revival, History, Maine, Portland, West End on January 11, 2017 by alewifecove.